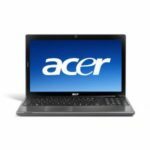 Acer Aspire E5-573G-59C3 is a 15.6-inch laptop outfitted an Intel Core i5-5200U 2.2 GHz processor, 8GB DDR3L RAM, 1TB HDD 5400 rpm + 8GB SSD, a 15.6″ screen with 1366 x 768 resolution, and NVIDIA GeForce 940M Dedicated graphics w/ 2GB video memory. 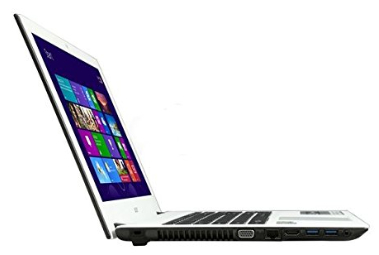 Of course, it has become a bestselling laptop at Amazon (price as reviewed: $628.60 & FREE Shipping), more and more people are crazy about it, so I think it's right time to share it with you guys today. 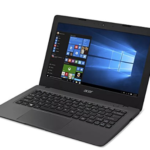 The Acer Aspire E5-573G-59C3 laptop also comes with HD Webcam (1280 x 720), Dedicated Numeric Keypad, 802.11ac Wireless LAN, 2 x USB 3.0, 1 x USB 2.0, 1 x HDMI, 1 x VGA, and a 4-cell Li-Ion (2500 mAh) Battery supporting up to 5 hours of life. 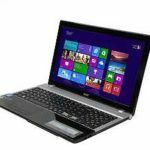 The laptop is running on Windows 8.1 operating system, you can upgrade it to Windows 10 for FREE. – Great for gaming. The 940M is an amazing laptop GPU for Medium-High gaming. – Nice Keyboard Layout and the keys have a nice feel to them. – Battery lasts a very long time, around 6 hours if you are browsing. – Quick and Responsive, even when the SSHD was installed. 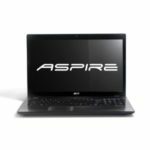 – Much better than Lenovo/ASUS laptops around the same price. – 1 stick of 8GB ram which is not the brightest idea. If something goes wrong with the ram, you don't have another stick to keep your computer running and test memory. If you have the money, buy a second 8GB stick. – The speakers at the front are a bad spot to put them at and they are not the best of quality. – Fan can get very loud when gaming, but that can be adjusted through various software. – Arrows keys are a bit awkward on the keyboard, they are different sizes which does not fit the had correctly if you plan on gaming on the keyboard. – The screen is cheap, but acceptable for the price. Can notice glare at times and when outside. – Comes with bloatware that needs to be removed. 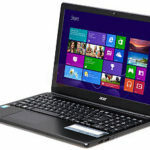 Well, what's your opinion on the Acer Aspire E5-573G-59C3 15.6″ Laptop?